Are you being paid what you're worth? Most companies are battling through protecting razor thin margins that are being assaulted by change orders, rework, and unbilled man hours (and more unmentionable profit killers). It's time to end the battle. 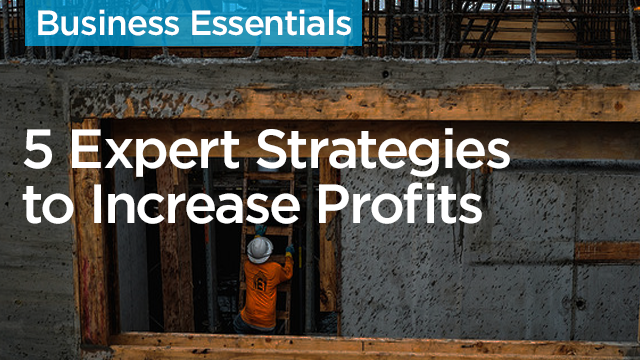 Learn strategies for increasing your project fee percentages from Procore's construction management expert, Josh Newland. Learn how to effectively cost estimate and keep costs as predictable as possible. Become familiar with incentive-based contracts. Improve your knowledge of safety management and insurance policies to keep your job sites as safe as possible. Understand which technologies you may be able to leverage on the job in order to cut costs, maintain project safety, and be more time efficient.